Ford Rd, Stoney Run Rd, State Hwy 388, Red House Rd, and E Prong Rd. Some property owned by Frank Bucher, Rolland Eisenbarth, Hillard Reams, M.M. Reid, Harry Cosby, and Robert Goins. 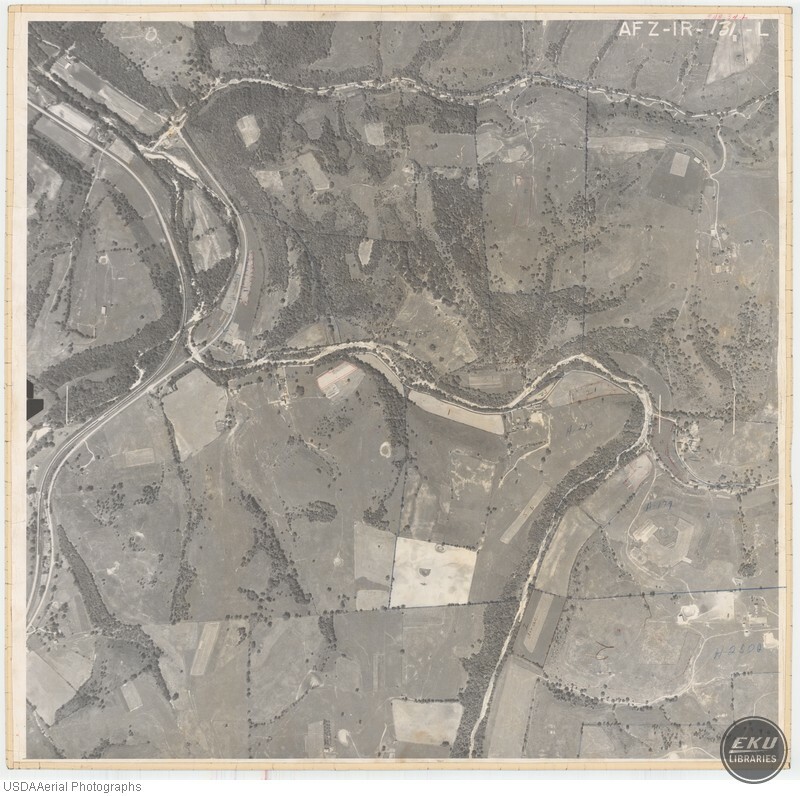 USDA, “North Madison County, South of Ford and the Kentucky River,” Digital Collections, accessed April 19, 2019, https://digitalcollections.eku.edu/items/show/800.